ThingsOperatingSystem (TOS) is a cryptocurrency token generated on the Ethereum blockchain. 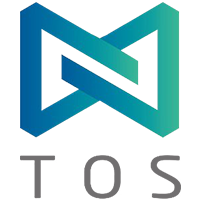 The total supply of ThingsOperatingSystem that will ever be issued is 1.00 Billion tokens. Current ThingsOperatingSystem price is $ 0.0051 moved down to -9.21% for the last 24 hours. All time high (ATH) price of ThingsOperatingSystem reached $ 0.0789 on 8th Aug 2018 and fallen -93.5% from it. ThingsOperatingSystem’s 24 trading volume is $ 331.06 Thousand. It is trading on 2 markets and 1 Exchanges . Find more details about ThingsOperatingSystem cryptocurrency at the official website and on the block explorer. ThingsOperatingSystem price Index provides the latest TOS price in US Dollars, BTC and ETH using an average from the world's leading crypto exchanges. The ThingsOperatingSystem to USD chart is designed for users to instantly see the changes that occur on the market and predicts what will come next. TOS (ThingsOpreatingSystem) is a global intelligent Internet of things open protocol project based on block chain technology. It is a decentralized hierarchical block network technology based on SDAG for IoT industry. TOS wants to make a layered block network operating system in which transaction cost is free for ordinary trading and transaction cost is needed for high valued trading. This technology forms a layered DAG block network set for the entire network block, and automatically distributes the massive transaction data to each hierarchical block network, greatly reducing the data redundancy of the entire network block and at the same time it classify and store the data according to its values in the network system for better mining the high-value information and integrating artificial intelligence in the future. This will be the continuation of the next step in the development of blockchain technology, and it will be of historical significance to the blockchain.